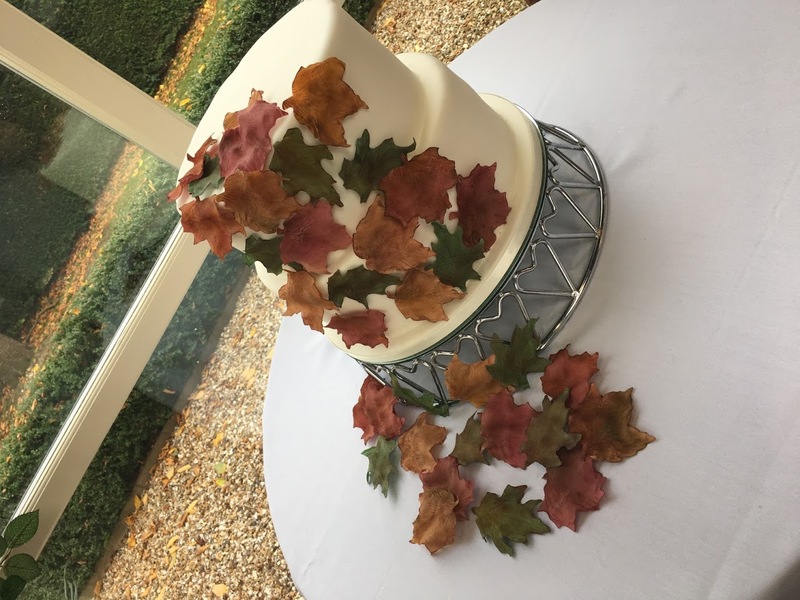 Last weekend we made the wedding cake for Kate & David who held their wedding reception at the lovely Shottle Hall. 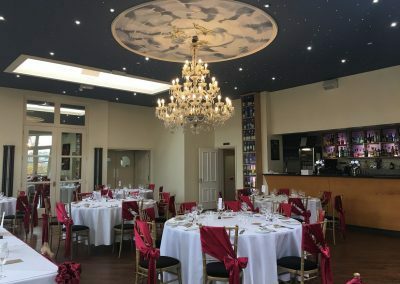 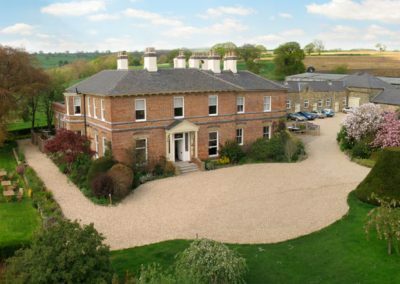 This great venue is located in the heart of the East Midlands just on the edge of the Peak District National Park and forms part of the famous Chatsworth Estate. 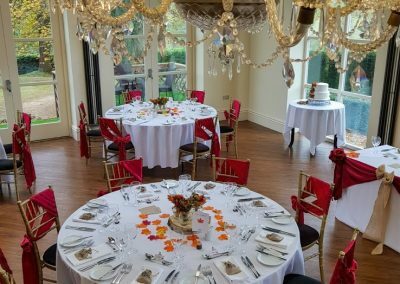 The venue sits in 4 acres of structured gardens and 14 acres of parkland, great for all those stunning wedding photographs. 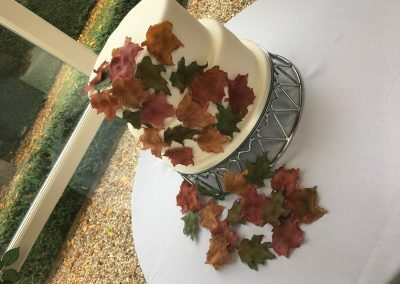 The brief for the wedding cake was a very simple design having handmade sugar leaves tumbling down from one side in autumnal colours of burgundy; to match the bridesmaids, oranges, greens, yellows and browns. For their 2 tier wedding cake Kate & David decided on a caramel sponge for the bottom tier with caramel sauce and a vanilla buttercream and for the top tier a lovely red velvet sponge with vanilla buttercream. 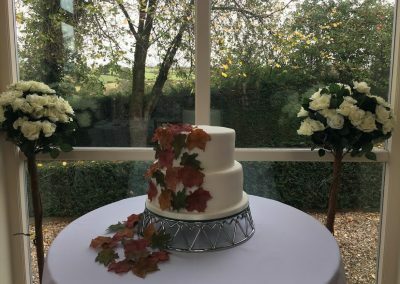 Both colours of the cake also complimented their colour theme. 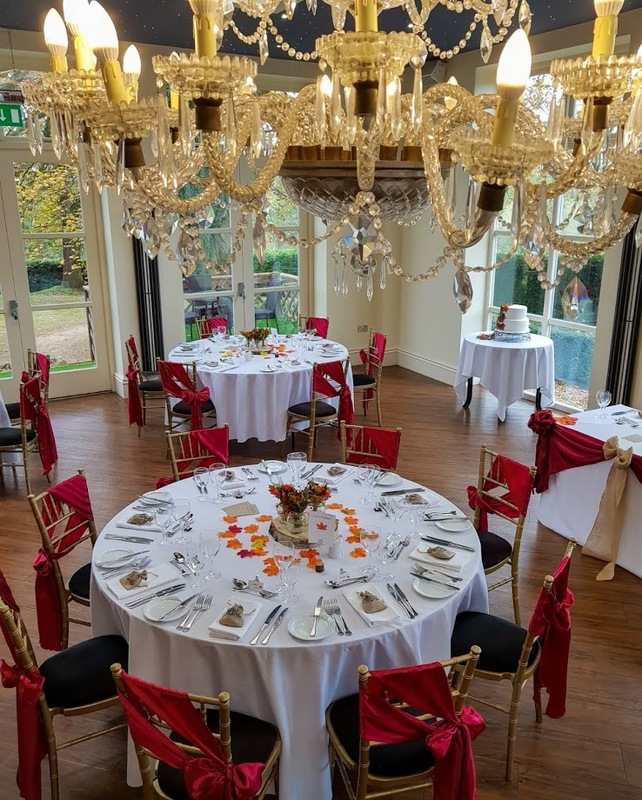 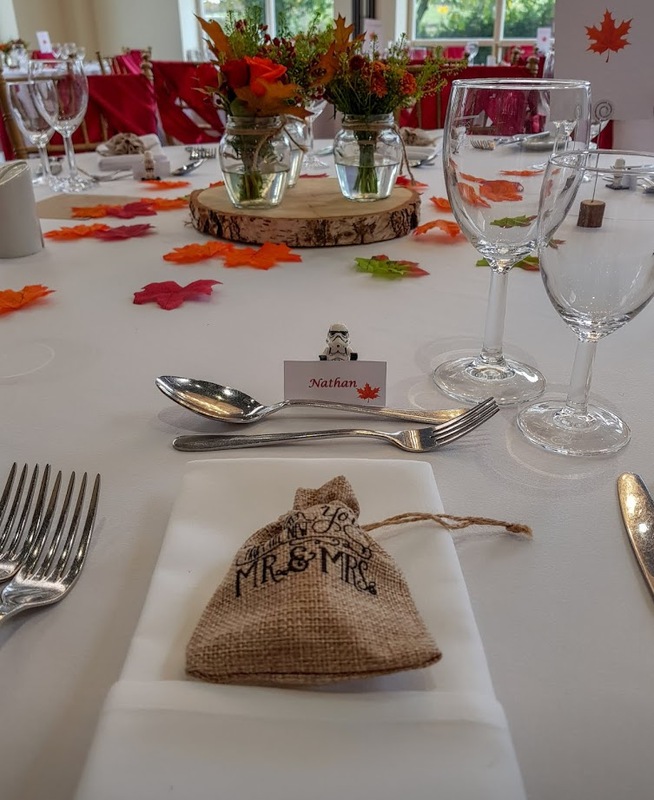 Although the weather was cold on the day, they had bright sunshine and the room where the wedding breakfast was held looked stunning. 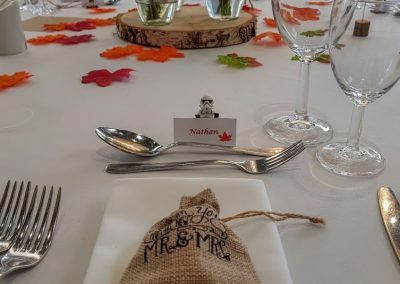 On the tables were little personal touches with hessian favour bags and storm troopers guarding the place names.